Includes 1- 9 lite Steel entry door, 2-windows and 6’ porch (included in size). 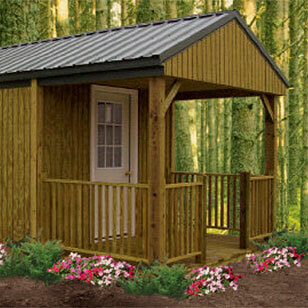 *Cabin Styles are not available for Built On-Site. *Prices subject to change without notice. Credit Cards Accepted!